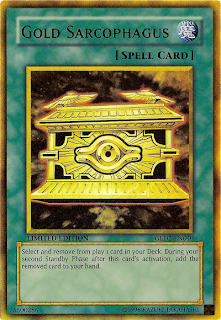 was thinking about dragon deck on my way home and linked it with the one that i saw in last week's tourney.i realize that the now tournament legal card:gold sarcophagus. it would make a great combo with D.D.R and in turn would makes a great combo with his deck. Effect: select and remove 1 card in your deck. During your second standby phase after this card's activation, add the removed card to your hand. Effect: Discard 1 card. 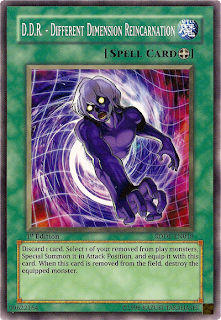 Select 1 of your removed from play monster, special summon it in attack position, and equip it with this card. When this card is removed from the field, destroy the equipped monster. Effect: You can remove from play 1 dragon-tpye you control to special summon this card. Once per turn, you can special summon 1 dragon-type monster, except "Red-Eyes Darkness Metal Dragon", from your hand or graveyard. 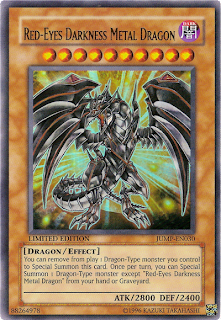 2. removed red eyes darkness metal dragon. 3. 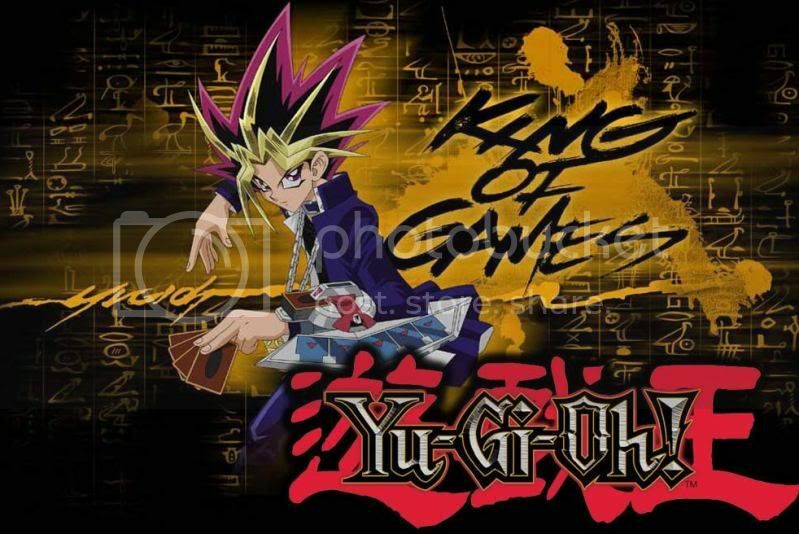 D.D.R it, throw your dark horus or whatever dragon type monster with huge attack and special summon red eyes darkness metal to field. 4. uses red eyes darkness metal effect special summon dark horus to field. 5. please do remember you have not normal summon and can do so now. PS: Can anyone please tell me why dragon decks are commonly called as hopeless dragon?